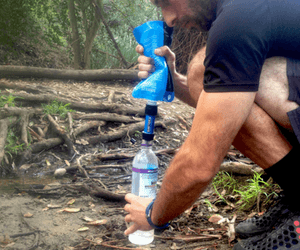 A backpacking water filter is a key necessity on any outdoor adventure trip. After all, you cannot carry too much water with you but you can’t live without water either. In that situation, you may have to depend on the locally available waterfronts. But the problem is though this water is fresh water; it may not be fit for drinking. There may be many different types of parasites and germs in the water, and you may also fall sick or catch some severe infection after drinking it. So they the question is how do you stay hydrated but avoid falling sick. Now, this is where the need for backpacking water filters come into play. But how do you decide on a water filter? 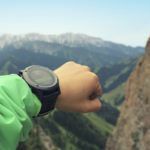 Some backpacking regulars insist that almost every piece is as good or bad as the other one, but the best backpacking water filter needs some thorough analysis and detailed study. If you choose wisely, then you can stay hydrated while on the trip as well as enjoy the scenic beauty without a worry. You also have to be very sure about the filter that you eventually choose. 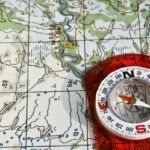 There is a school of expert that believes that you must actually test the reliability and functionality of the backpacking water filter before you actually take it out and risk your health in the wilderness. 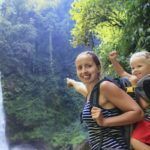 Well, we have made the task a lot simpler with our handy list of the best backpacking water filter. These are not just some of the best options in terms of features but also as per a variety of quality control tests to authenticate the veracity of the claims that the company is making. After all, water is life for us, we can’t be careless about the choices we make. 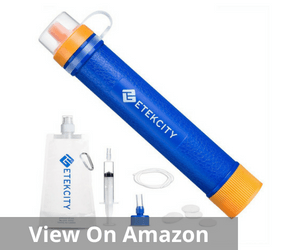 This is one of the most versatile and amongst the best backpacking water filter that you could take on your trip. 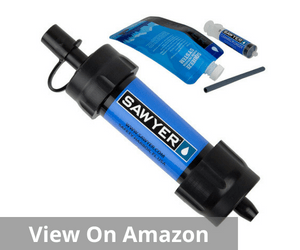 Lightweight, handy and extremely functional, it is a one of a kind water filter that can help you stand in good stead in any kind of situation. 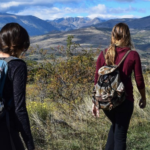 You may be hiking, scouting, camping or on an international trip, this filter will always help you stay step ahead in terms of physical well-being and a healthy travel. This is an extremely high-performance filter that is so compact that it literally fits into your palm. It is a very lightweight at just 2 ounces and is a result oriented product that is very simple and portable as well. You don’t need a complicated filtration process, and the inline filter comprises of a 0.1 Micron absolute hollow fiber membrane. This filter attaches directly to the drinking pouch that is provided with it and you can use a straw to drink directly from the source if you prefer. If you are keen, you can also buy separate hydration tanks and attach this filter to it. Reliability is a key reason why you may want to go for this filter. It is known to be 99.9999% safe and helps you keep dangerous bacteria like salmonella, cholera, and E.coli at bay. It is also supposed to remove protozoa like giardia and cryptosporidium, the most common campsite troublemakers. The original pack includes two 16-ounce reusable squeeze pouches and two 7-inch drinking straws along with cleaning plungers. 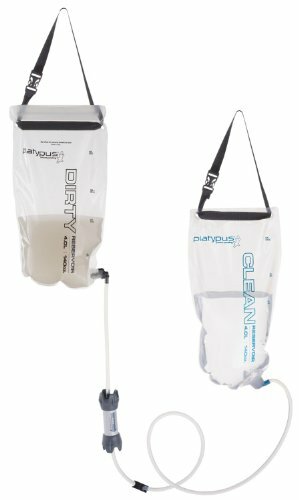 If you are looking for the best backpacking water filter, the Platypus GravityWorks is a great value for money option that you can capitalize on. This is a very effective water filter that makes getting clean water practically effortless, wherever you may be. The basics and the concept on which this filter kit is based is both simple and scientific. It is convenient and copes with the biggest challenges posed. You have to just fill the water reservoir and let it settle as the gravity gradually filters the water for you. You fill the reservoir and let the gravity filter water for you. As a result, you get clean water a lot faster than conventional filter pump systems and storing this is also a lot simpler. The good news is all products of GravityWorks filters conform to the required regulatory norms from EPA to NSF guidelines with regards to Protozoa and bacteria removal. This also covers popular troublemakers like Giardia, E.coli, Cryptosporidium, Cholera, and Salmonella. This is also an extremely high capacity filter. That is also another reason why it is so well suited for any type of backpacking trip anywhere. This filter comes equipped with a massive 4-liter dirty water reservoir and also a 4-liter clean water reservoir. It is lined with hollow-fiber microfilter. They work in a multi-pronged manner using the hoses, the shutoff clamp, and the storage sack to create the complete filtration cycle and offer you potable water in a matter of minutes. The cartridges have the capacity to filter as much as 1500 gallons of water and most importantly these are replaceable. The rate of filtration is close to 1.75 liters/minute. The overall kit is also not too cumbersome. It weighs about 11.5 ounces in all. However that said, the packaging of the product seems to be a bit careless. You have more than one user review complaining of not receiving the complete product. So carefully review the package that you get. 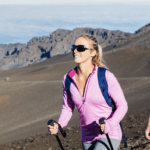 When you are looking for the best backpacking water filter, almost every company will make you believe that their product holds out the most durable and effective solution to your filtration need. But why do you need to trust any manufacturer when you have officials listing out the successful ones on their own. 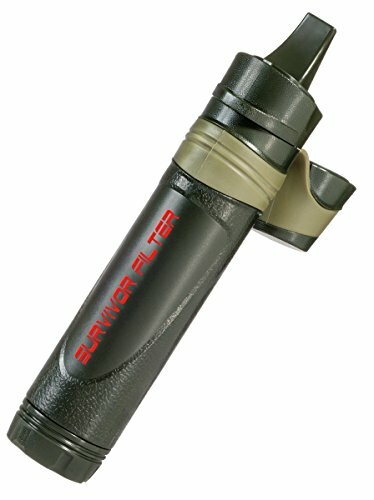 The Survivor Filter is one of the best independently tested filtration alternative in the market. This product has been tested in multiple labs across the United States and has shown stunning results. It shows Log 5 Removal 99.999% of Protozoa including Cryptosporidium, Giardia, and Parasites. It also yielded Log 5 results for removal of 99.999% of Virus. This filter also detects and tackles Staph related contamination. Durability is one of the most important features of this water filter. It decidedly lasts a lot longer than most other peers. The 3 removable Internal Filter Stages doesn’t just make the filtration process a lot simpler but effective too. The best news is that gallons of water can be filtered in one go. 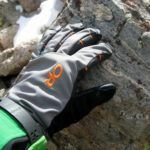 It is also extremely lightweight and just ideal for hiking and backpacking trip that you undertake. It allows you to relax about basic worries like how to source drinking water and concentrate better on the hunting or fishing mission that they may be on. Even in times of emergency or sudden international travel, this is a rather handy piece to keep with you. The frame quality is far from satisfactory and the assembly design is also quite poor. Though this does not directly hurt the complete efficiency, it can surely enhance. 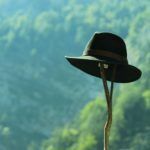 Awards and recognition play a crucial role when you set out to buy the best backpacking water filter. So it goes without saying that the LifeStraw Personal Water Filter figures prominently in any such list after winning the Time Magazine Invention of the Year award. The best part about this filter is it does not contain any type of chemicals or batteries and no moving parts that can wear out or interfere with the overall filtration procedure. It is known for a very high flow rate and overall weighs just 2 oz. The best part about this water filter is that the number of safety standards that it conforms to. Not only does that enhance the reliability and but also builds a credible brand around it. 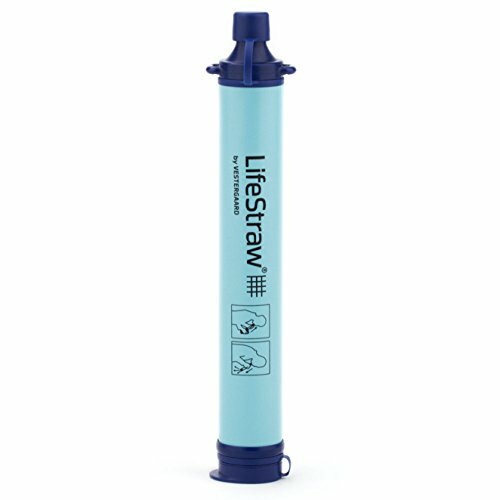 The LifeStraw confirms to all established EPA standards for safe drinking water and water filtration. This water filter is known to remove 99.9999% of disease-causing waterborne bacteria like Salmonella, E Coli and the like. It also effectively tackles almost 99.9% of waterborne protozoan parasites too. 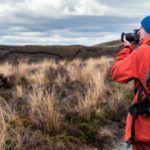 All in all, this makes this filter extremely effective and a rather dependable option when you are out in the wild on a backpacking trip. The compact size also makes it an important element to pack in case of international trips. Sucking water from this is fairly difficult and cumbersome. 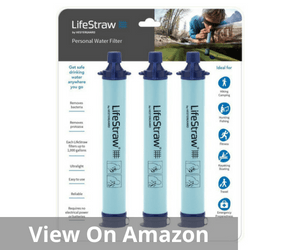 Impractical because Lifestraw needs safe water to prime the system. After all, the whole purpose is to clean unsafe water. 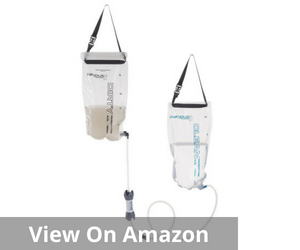 If you are looking for a portable and lightweight water filter, this is undeniably one of the best backpacking water filters. This one comes equipped with a 3-stage advanced filtration procedure and has the capacity to remove nearly 99.9999% of protozoa and bacterial causing trouble. This water filter has also undergone a critical safety test to establish its genuine claims and reliability. It has been tested by the TüV SüD Institute. This filter also meets the quality standards set by the EPA. The water pouch also confirms to the US FDA’s norms and provisions. 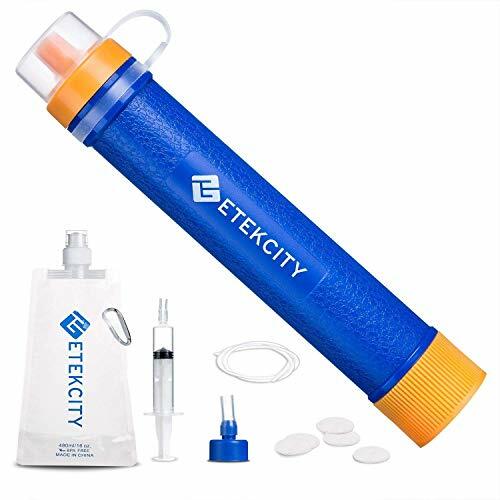 It is an extremely small, compact lightweight water filter that can be easily carried in any type of backpacking trip, hiking and even international travel. 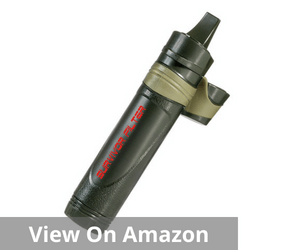 You can be prepared for any type of emergency with this water filter with you at all times. This is also an extremely high capacity filter. It has the ability to filter as much as 1500 liters of safe drinking water from practically any type of source. It can be clean or dirty but this water filter will ensure that you have safe water ready to drink at all times. Really hard to draw water and cleaning the filter is also very complicated. This significantly reduces the convenience element and the ease of use that you may come across in many other brands. Therefore making a worthwhile choice is very important. The best backpacking water filter is not just about a value for money product but often it is about your life as well. Staying hydrated during an outdoor trip is an absolute necessity, but at the same time, it is impractical to carry gallons of water with you. 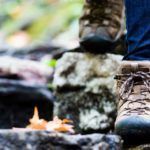 A proper backpacking water filter does not just reduce the hassle of carrying a lot of weight but also ensures your wellbeing at every step. Filtration and purification is not just a play of word but a very important differentiation when you are selecting the best backpacking water filter. Most times purification is just a level of filtration; it manages to remove only the virus from the water. In contrast, filtration is instrumental in removing the most harmful bacteria. This is crucial because bacteria in water is a major concern across the United States and Canada. Filtration is useful in also removing the debris and silt. That also enhances the taste of the water and makes it tastier. 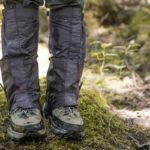 The weight of the water filter is one of the most important considerations when you are trying to decide the best backpacking water filter. This is because, on a backpacking trip, you cannot carry very heavy weight. So you have to carefully evaluate the kind of filter you settle down for. The tradeoff here is between the weight of the filter and the speed of the filtration. On an average, the lighter the filter is, the longer the filtration process. So it is very important that you take into consideration both the factors in a balanced way. That brings us to the next most important feature, the speed of the filtration process. 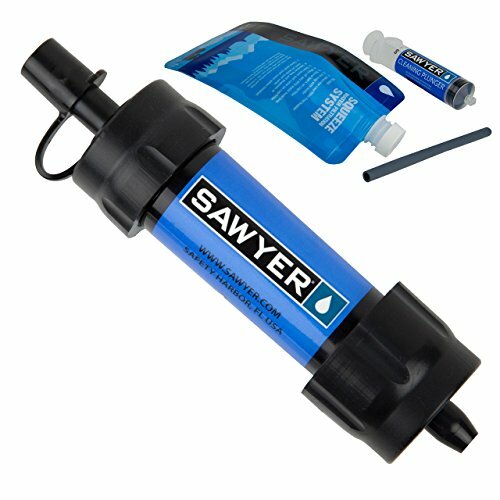 When you are looking for the best backpacking water filter, this is again a very important consideration. You are constantly on the move, time is extremely precious, and so you do not want to waste a lot of it just getting the water filtered. But at the same time, you surely do not want to compromise on the extent of filtration either. Using chemicals like chlorine to purify the water is generally more time-consuming. In comparison, filters offer a way faster solution to the same problem. The degree of reliability of the water filter is another key concern to worry about. It is very important that you choose a water filter that has a proven track record of reliability. Even if it costs a couple of bucks more, it makes sense to choose a water filter that comes with some kind of authentication of reliability. The problem is different manufacturers may make different claims but that may not necessarily bear fruit all the time. What is most important is that the product that you buy should actually perform what it promises to. Water is life and you cannot stay without it wherever you may be. Therefore, carrying a proper water filter on an adventure trip becomes an absolute necessity. However, buying the best backpacking water filter is never a simple task. You have to consider an array of features before you reach a conclusion. More importantly, your choice of a water filter is also dependent on the kind of terrain you choose for your backpacking trip. 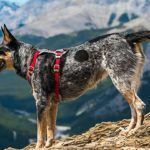 In case the task is too overwhelming, you can always refer to this ready list of reviews for some of the most dependable and decidedly some of the best backpacking water filter that you can buy.